UPDATE: Our 2015 Guide to Holiday Events in Terre Haute and the Wabash Valley is HERE! Click on the graphic below to see our most up-to-date information! Copyright © 2014 Rachael Brown, All Rights Reserved. 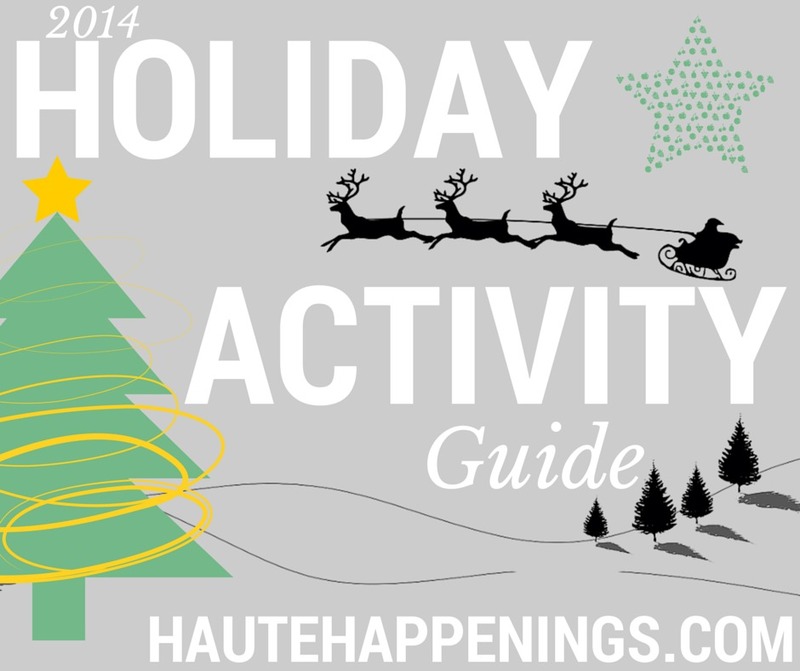 Friends, neighbors, fellow Hauteans, I’m thrilled to give you the 2014 Holiday Activity Guide from Haute Happenings! 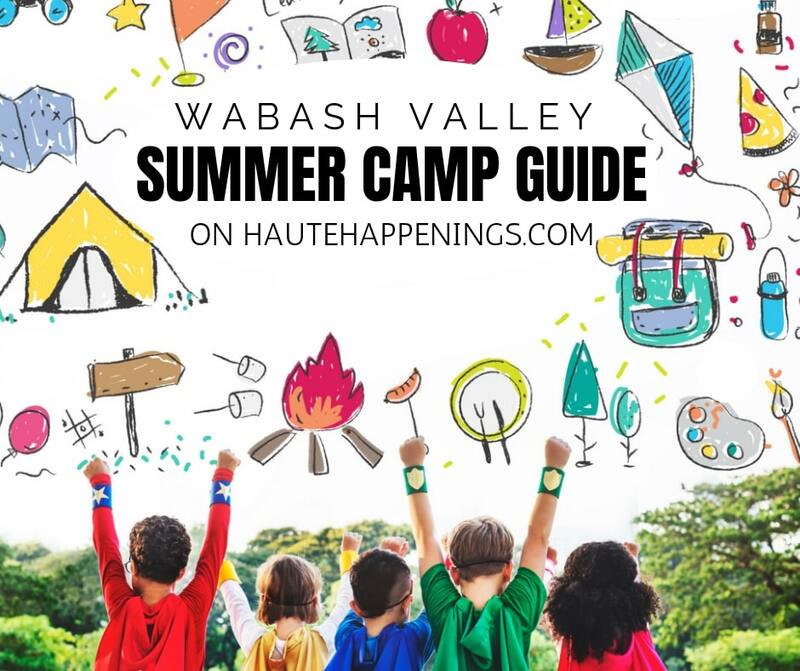 This list has over 40 fun Christmas events and things to do in the Wabash Valley throughout the holiday season. 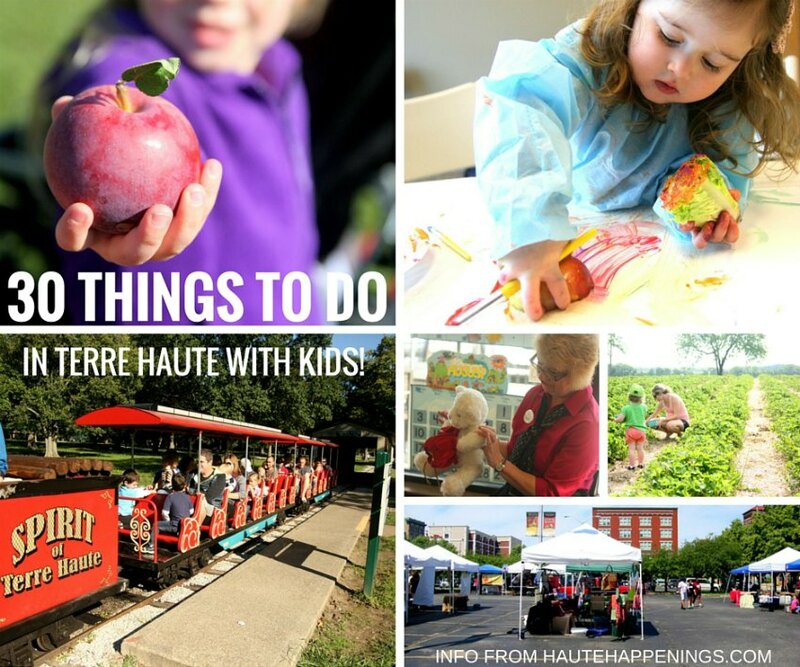 As always, my goal with this guide was to help your family embrace Terre Haute, find fun things to do, and enjoy time with your kids. And as you will see, Terre Haute did not let us down. There are tons of Christmas events happening in the Wabash Valley area–many of them are FREE! I know many families are willing to drive to a nearby city for a great event, so you will see nearby towns (such as Rockville, Brazil, and Marshall, IL) mentioned in some of these posts. 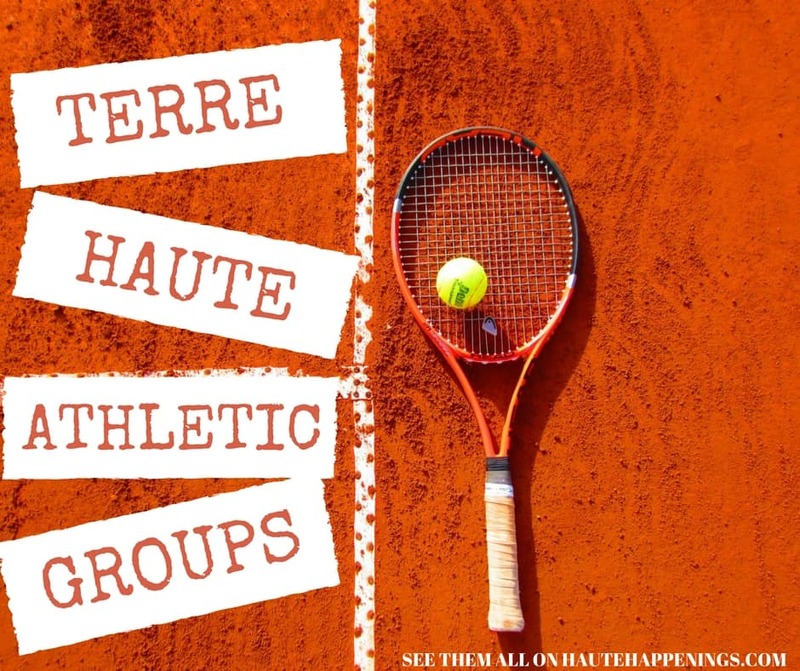 If no town is mentioned, these events and activities are in Terre Haute. Grab your calendars and get comfortable, because you may be here awhile! This guide is proudly sponsored by the Indiana State University Bookstore–Barnes and Noble. Barnes and Noble offers FREE events for kids and families throughout the year. They are a perfect fit for our audience, and I’m thrilled to have them partnering with Haute Happenings. Please thank them for their support of this site by attending their FREE events. “The Night That Peace Broke Out” Christmas concert. November 22. 3:00 p.m. St. Mary’s. Visit from St. Nick, music, free Christmas goodies, & gifts. $10 for adults. Children under 10 FREE. Free showing of Maleficent. Vigo County Public Library. November 22. 2:00-4:00 p.m. Free snacks, drinks, and admission. Collett Park Christmas Walk. November 22 from 9 am-4pm and November 23 from 11am-3pm. Visit local homes and shop for locally made gifts and treats. See map here. Clay County Christmas in the Park. November 28. Parade at 7 p.m. Fireworks following parade. 16 miles from Terre Haute in Brazil, IN. FREE. Christmas on the Square. November 28. 67 miles away in Danville, IN. SNOWZILLA inflatable slide, train rides, live nativity, tree-lighting ceremony and canopy of lights. Christmas at the Orchard. November 22 & November 29. 10 a.m.-4 p.m. Santa, live music, kids’ activities, face painting, food trucks. 66 miles away in Danville, IN. FROM OUR SPONSOR! Adopt an Elf. November 30 at 3pm. Barnes and Noble. Elf story time, matching, naming, birth certificate, meeting with Santa, hot chocolate and cookies. The event is FREE but the cost of your new Christmas friend will be your responsibility. Opening night of Christmas in the Park at Deming Park. December 1. Ceremonial lighting at 6 p.m. FREE. Miracle Ice Rink. Monday, December 1st through Saturday, December 13th. Top floor of the Sky Garden Parking Garage. $5 fee or donate 3 non-perishable food items. Includes ice skates. Read all about it in this post! A Christmas Carol at Tilson Auditorium. December 2. 7:30 p.m. Prices range from $5 (youth)-$20 (adults). Yuletide Madrigal Feast at St. Stephen’s Episcopal Church. December 2-4. 7 p.m. $30. Singers, period costumes and exquisite food in a beautiful venue. Community School of the Arts final recital. December 4 at 5 p.m. and December 7 at 2 p.m. Landini Center for Performing & Fine Arts Hall. FEATURED EVENT: Live reindeer as part of Miracle on 7th Street at the Vigo County Public Library. 4:00-5:00 p.m. Reindeer, cocoa, and cookies. FREE! Miracle on 7th street. December 5 from 5:00 p.m.-10:00 p.m. Special events at downtown businesses, activities for children, & open-air Holiday Market. FREE. Miracle on 7th Street at the children’s museum. December 5. $5 admission. Live reindeer, different holiday customs with ISU students, snow ball catapults, letters to Santa, visit from an ice princess. Miracle on 7th St. at the Swope. December 5. Holiday crafts and music from the Sycamore Singers. FREE. Tree Fest. December 5 from 4-10 p.m. & December 6 from 10 a.m.-2 p.m. Dozens of beautiful trees. $5 for adults. Children 12 & under free. Holiday Laser Show at Allen Memorial Planetarium. December 5 at 6:30, December 6 at 2:00 and 4:00 p.m. $4/adults. $2/kids. All you can eat Pancakes and Breakfast with Santa. December 6. Then stop by and do a little shopping at the Secret Santa shop! Adults $5 Children $3 (under 2 are FREE). Dana Firehouse. Visit Santa and his elves at the Rockville Library. 26 miles from Terre Haute. December 6. 10:00-11:30 a.m. Cookie decorating and picture coloring. Free. Tree lighting ceremony, caroling, visits with Santa, hot chocolate house. December 6. 5:00 p.m. 26 miles from Terre Haute in Rockville, IN. Free. Pioneer Village Christmas Walk at Fowler Park. December 6. 4-9 p.m. Dress warmly and bring flashlights! FREE admission. “Candlelight and Holly Days” with the Terre Haute Symphony Orchestra. December 6. 7:30 p.m. Tilson Auditorium. $7-$45 per ticket. Mouse House. December 6 from 10-5pm & December 7 from 11-6pm. Create ornaments, decorate cookies, see a talking tree, shop for inexpensive gifts, visit with Mrs. Mouse. $2 admission. 30 minutes with Santa captured in pictures. Story time, milk and cookies, and the chance to share your Christmas list with Santa. December 6th at Crossroads Studio (9am-1pm) and December the 7th (1pm-5pm). Includes digital images of photos with Santa, a free 8×10 portrait, and 15 photo cards. Santa Train in Sullivan, IN. (26 miles from Terre Haute.) 4:00 p.m. December 7. Admission is FREE. Holiday Book Sale at the Vigo County Public Library. December 5, 6, 7, & 8. Winter Concert by the Terre Haute Children’s Choir. December 10. 6:00 p.m. University Hall Theater. Kid Cow for preschoolers at Chick-Fil-A. December 11. 9:30-11:00 a.m. Breakfast with Santa! Read our Kid Cow review HERE. FREE. Holiday Laser Show at Allen Memorial Planetarium. December 12 at 6:30 p.m. and December 13 at 2:00 p.m.$4/adults. $2 kids. Creativity Factory Kids’ Night Out at the children’s museum. December 12. 6:00-9:00 p.m. Drop the kids off to have fun with art and science. $25 per child. Ages 6-12. Read our review HERE! Christmas Craft Make & Take. Saturday, December 13. 1:00-4:00 p.m. Vigo County Public Library. Kids of all ages are invited to make Christmas crafts. FREE! Clabber Girl Country Christmas. December 13. 10-4 p.m. Carriage rides, arts & crafts, games, face painting, pictures with Santa in his sleigh, stories with Mrs. Claus and more! Admission to the event is free and tickets can be purchased at the door for various activities. Breakfast with Santa at Clabber Girl. December 13. 8:30 a.m. Seating is limited and tickets are sold in advance only through Eventbrite. Christmas Fun at the Woods. December 13. 1-4 p.m. $5 per person. Bake cookies, take a sleigh ride, see Santa and the alpacas. Breakfast with Santa at the YMCA. December 13. 8:00- 10 a.m. Pancake breakfast with Santa. Crafts, games, fitness exercises with elves, and Christmas story told by Santa. Cookies, Cartwheels, & Canvas. December 13. 11- 4p.m. Wabash Valley Tumbling. Ages 5+. Canvas painting class, open gym, pizza lunch. $45 before Nov 26th $50 after Nov 26th. Daddy & Daughter Dance. December 13. from 6 to 9 p.m. at the Terre Haute Children’s Museum. $35 per father-figure/daughter couple. German Christmas Service. December 14. Immanuel Evangelical Lutheran Church. 4 p.m. Free. Service entirely in German. German treats after service. Live Nativity at United Methodist Temple. December 14. 5:30-7:30 p.m. Crafts, hot chocolate, chance to talk with innkeepers, visit live nativity. FREE. Stand Up to Cancer Holiday Concert with Sidewalk Prophets and Citizen Way. December 17. 7:00 p.m. $20 per ticket available at THN and Open Door Bookstore. Kid Cow for preschoolers at Chick-Fil-A. December 18. 9:30-11:00 a.m. Breakfast with Santa! Read our Kid Cow review HERE. FREE. Frozen: A Winter Wonderland Ball for Kids. December 19. Come as favorite Frozen character & enjoy games, crafts, dancing, karaoke, &refreshments! 6-9 p.m. $10 for kids. $5 for adults. Girl Scout building in Fairbanks Park. The Santa Claus Chronicles. Holiday show from WWMS Drama Club. December 19th at 7:30 and December 20th at 2:30 Price: $5.00. Breakfast with “Santa Cow” for school-aged kids. December 20. Chick-Fil-A Terre Haute. 9:30 a.m. FREE admission. Charlie Brown Christmas Party. December 20. 2 p.m. Barnes and Noble. Games, snacks, crafts, storytime, and special guest. FREE! Bring your camera. A Very Merry Indiana Christmas. Indiana Theatre. December 20. 8:00 a.m.-5:00 p.m. Play games, decorate ornaments, watch classic Christmas cartoons. Christmas Eve with Santa at Barnes and Noble bookstore. No fee! Bring your own camera. December 24. 11 a.m- 2 p.m.
New Year’s Noon. December 31st. Children’s Museum. Make a crown and noisemaker before the big “ball drop”! Museum open from 10A-2P. Swope Family Day–Fun Making Prints. January 24. 12-4 p.m. Explore the Swope and make your own prints with help of staff. FREE! Outdoor Live Nativity. Christmas Season. Union Christian Church. FREE. Date and time TBD. We’ll update when that info is available! FROM OUR SPONSOR! Preschool Storytime. Ages 3-6. Tuesdays at 6pm. Holiday-themed throughout December. Create a craft to go along with the story. Barnes and Noble. FREE. FROM OUR SPONSOR! Storytime for ages 6-8. Read the stories and play games, do crafts, do madlibs, and other activities. FREE cookies and FREE admission. Every Thursday at 6:30pm. Barnes and Noble. Winter Break Camp for Students. Decorate cookies, make decorations, & play holiday games! Contact Rachel at 812-232-3952 ext. 49 or Rmullinnix@caysonline.org. $5 per day. Santa’s Zip N Sip. Holiday ziplines and hot chocolate. 82 miles from Terre Haute in Brown County. December 1-25. African Drumming for Adults. FREE. Dance and drum together while discovering the origins of songs, diverse tribes, and the African continent and culture. Fridays starting on January 23. 5:15-6:45. Call to register at (812) 237-2528. Indian Classical Dance Class. FREE. Teens and adults (ages 16 and up). Introductory Bharatanatyam class with different body movements, rhythmic patterns, leg movements, hand gestures, and facial expression will be taught. Call to register at (812) 237-2528. Wednesdays starting January 28. 5:15-6:45. Kindermusik Winter/Spring 2015. From birth to young child (ages 6-7). Variety of classes including Hickory Dickory, Our Time, Imagine That, and Friendly Faces. The Indiana State University Community School of the Arts offers private music lessons to all families of musical instruments. Prospective students may take lessons from either School of Music faculty or School of Music students. Please contact Crystal Myers at (812) 237-2528 for more details! We will add to this guide as new events come to our attention. If you would like to submit your event, please do so via this form. While we try to ensure that our calendar of holiday events is accurate and up-to-date, please check the links or call to confirm before you go. Details can and do change! 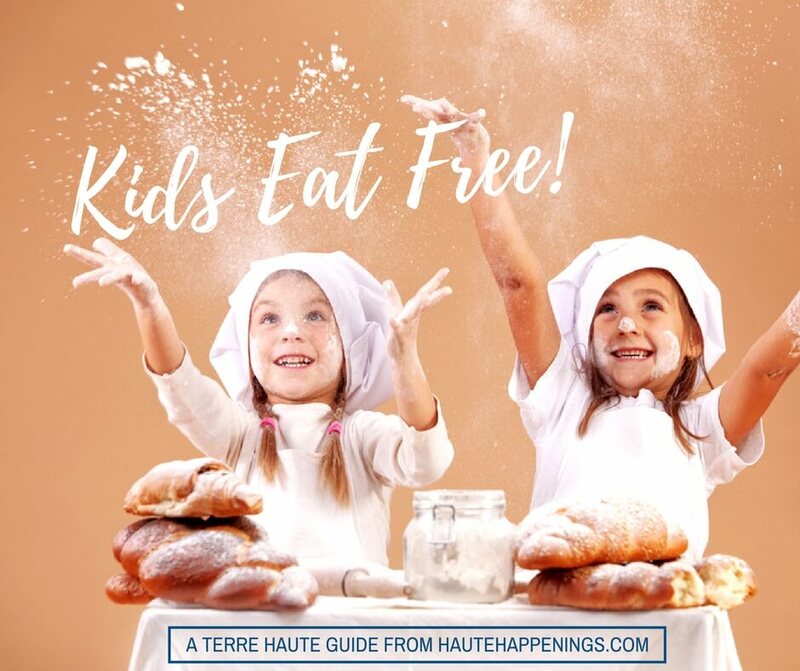 Share pictures of your family having fun in Terre Haute this holiday season, and you could win a prize! 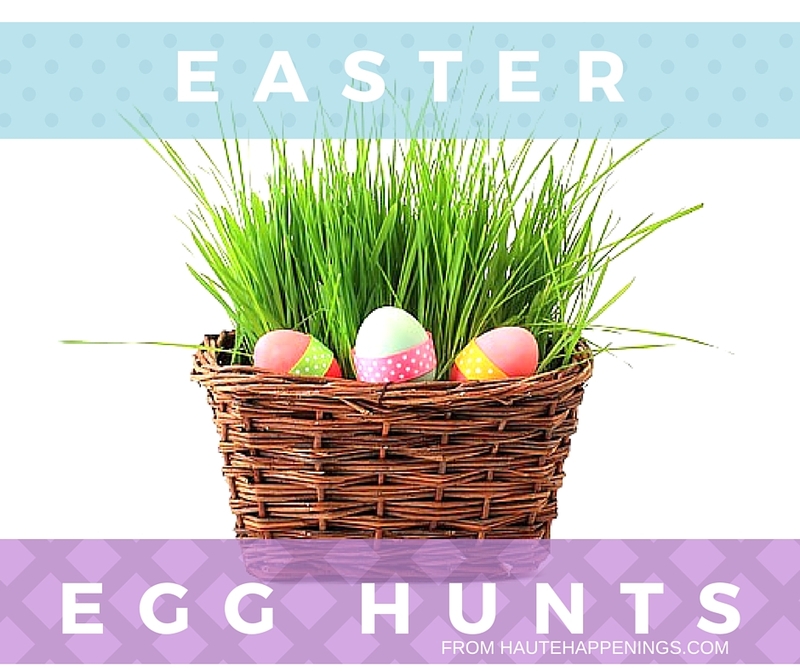 Tag us in your pictures on instagram or share pictures on the Haute Happenings facebook page.